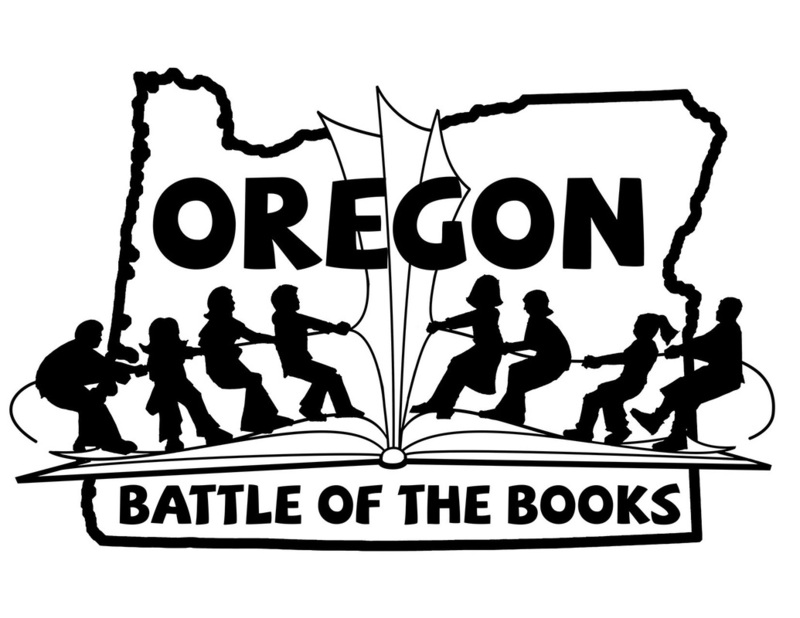 For book lists, rulebooks, logos, spine labels, and more, visit the OBOB website, or check out the OBOB FaceBook page. questions? email the obob administrative chair. Salem Public Library has OBOB books on a special shelf and we display the lists. (We order extra copies of these books and they fly off the shelves!) In the past several years, we had a Book club with activities in which we featured some OBOB books. • We keep holds ratios very low at 2:1. Also we buy extra copies of the books on cd, e-books, and e-audio, if available, and keep these to a 3:1 holds ratio. • This year we are starting book clubs based off the OBOB lists, 3-5 and middle school. We plan to have discussion and practice questions at these clubs. • In the past staff have been judges at the competitions. • We are always available for book talks for classes, or assist teachers in gathering books; this sometimes involves OBOB titles. • We print specific OBOB bookmarks with all the titles, for our customers. In past years, we've had minimal connection to our local OBOB teams, mostly just providing the books for check-out. This year, a local volunteer approached me with some ideas she had for raising awareness and community support. We had a meeting with the various school coordinators in our district (some are the school librarians, others are parent-volunteers) last Spring to ask how we could help. Some of our schools have been involved for a number of years (and have been doing a GREAT job at it!) while others are newer to the game and in need of more support. The main thing most of them asked for was MORE BOOKS! The school representatives felt strongly that they didn't want a lot of unauthorized "practice rounds" taking place, so I'm just having "Reader's Circle" for-fun book discussion groups. We will have 4 monthly meetings, two for 3rd to 5th Division, and two for 6th to 8th Division (September thru December) and discuss 2 titles at each meeting. We plan on having some kind of book-related activity, serve a snack, and then we'll raffle off the give-away books. The community volunteer is also working independently on some fundraisers to purchase more giveaway books for the schools that need them. Here at Lake Oswego we will be hosting 2 OBOB book clubs a month between Oct-April, featuring one book each meeting. • Buy multiply copies of OBOB titles for all divisions, mark them with a special sticker and shelve them together for an easy access. • Dedicate to OBOB a special page on our website with easy links to our catalog. • For Grades 3-5: offer Mock Battles. The focus of this program is to introduce the battle structure to unexperienced teams. - We register 8 teams for each session (we offer between 3 to 5 sessions). - We add 1 individual to each team since there is always someone not able to make it, and we want to register as many kids as we can. (A team usually registers 4 kids) – Basically, each “our” team has 5 people registered. - We have 4 stations (each has 2 teams battling). - We need 8 staff/volunteers at the stations (2 per station: a moderator and a time keeper). - The 9th person checks the kids in when they come in, go over the rules with the whole group, and act as a judge when there is a problem. - The Mock Battle is set for 45 minutes. We start about 5 minutes after (latecomers!) and for the first 7 -10 minutes I explain the OBOB rules. - We try to be as true to the real battle as possible. - We sign up only 3rd and 4th graders who have never done OBOB before. - We go through 3-4 sets during the program. • For Grades 3-5: Offer OBOB TYK (Test Your Knowledge) The purpose of this program is to give individuals an opportunity to test their knowledge of the books. - This program is only 30 minutes. - We provide paper, pencils and home-made clip boards. - It’s a PowerPoint presentation where a question appears on a screen and a librarian reads the question. - Then after 15 seconds the answer appears and the librarian reads the answer. - Kids are welcome to write the answer down if they wish. - We go through 3 sets (each set has 8 “In which book” and 8 content questions – the same format as a real battle. - We did 5 sessions last year and they were well received. • For Grades 3-5: Post several sets of questions on our website after we are done with our OBOB programs. • For Grades 6-8: Post several sets of questions on our website. (We don’t do it every year, but we are planning on doing it this year. At the Cottage Grove Public Library we start the excitement for OBOB in the summer. We book talk two of the titles each week at free summer lunch spots and offer extra summer reading incentives to kids who read OBOB titles and submit a short book review. This is the first summer that we have tried this, but I¹d say it was a success. The titles we book talked checked out more than those we didn¹t, even though we had a special OBOB book display in our library all summer that featured all of the titles.